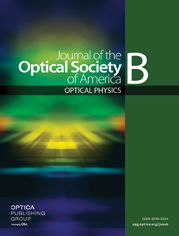 We use the theory of optical waveguides to study analytically the voltage-dependent response of a surface plasmon polariton (SPP) at the interface between a photorefractive liquid crystal cell and a semi-infinite gold layer. For sufficiently large electric fields the alignment of the liquid crystal can be calculated analytically. The resulting correction to the SPP dispersion relation is then determined in terms of the applied field and the liquid crystal surface alignment relative to the SPP propagation direction. The approximate analytic techniques developed here are shown to be accurate when compared to rigorous diffraction theory and experimental measurements. The approximate equations are a powerful tool of general application. They can be used to study SPP propagation at the interface between a metal and any nonhomogeneous or anisotropic dielectric and are also applicable to self-assembled monolayers and biosensing applications.